Part of a five-year plan to offer no cost, half-day pre-kindergarten (pre-k) services to all four-year-olds in Raytown, the Raytown C-2 School District is ex­panding its early childhood offerings beginning with the 2017-2018 school year.During the 2017-2018 school year, the District will offer 170 new pre-k seats in addition to the 68 Head Start and 17 fee-based seats currently offered at Herndon Preschool. The District will also continue to offer preschool Title 1 and Special Education services at New Trails Early Learning Center. Pre-registration is open from February 3 through February 17. Children must be four years old on or before July 31, 2017 to be eligible for one of the 170 pre-k seats. “By the start of the next school year, our early childhood program will offer over 500 preschool seats. Though some of our programs cater to students age 3-5, next year’s expansion will cover a significant part of our goal to offer pre-kindergarten services to every four-year-old in our attendance area, which we estimate to be around 630 prospective students in a given year,” Dr. Markley said. In addition to the new seats, the District will also provide transportation for all of its early childhood programs. Families with students who are currently enrolled in Herndon Preschool or New Trails Early Learning Center, who will be returning for the 2017-2018 school year, do not need to pre-register for placement. Current early childhood families will receive information regarding enrollment from their school’s principal. For more information about the Pre-K Expansion Program, please call 816.268.7430, email tonya.sons@raytownschools.org, or visit http://earlychildhood.raytownschools.org/pk_expansion. 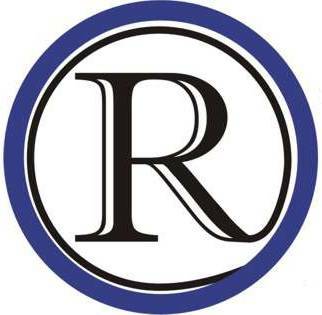 For a comprehensive overview of the Raytown Schools Early Childhood Program, requirements, and guidelines, please visit http://earlychildhood.raytownschools.org/.